A few years ago, back when I was pregnant for the second time with Sasha I began to use only the most simple ingredients for my skin care. For fear of an itchy attack which in the first pregnancy really caused me a lot of upset. The commercial products seemed to cause the problem! During the second pregnancy I learnt very quickly after one commercial cream caused me two weeks of itchy!!! … and shifted over to natural oils and butters like rose hip oil, coconut oil, shea butter PLUS minerals. These days I’m free from constraints… but why not feed your skin as you do your tummy? The products totally enter your system and need to be either detoxed or USED. So are your products contributing to your health?! I use my own Permamamma Magnesium Cream – usually as a body moisturiser but sometimes on the face as a night moisturiser too – I’m the main tester for any new products and will sometimes grab a local friend. It keeps the muscles nice and relaxed and improves any aches or pains. I have been known to give it away free to pregnant ladies because it simply makes their lives sooooo much nicer! Swelling, aches, restless legs … even preterm labour are all linked to magnesium deficiency. And of course, it is safe and beneficial for baby sleep, just start slow with a massage on the bottoms of the feet/legs and see how they like it. Please note this ‘orginal’ product is not suitable for eczema or broken skin as it contains magnesium chloride which can sting. It won’t injure the skin and in fact, we’ve had some brave souls actually use it to treat their eczema (we’ve seen some dramatic overnight improvements and if this is you, can you let me know how its going now?!?!) but geez, be kind to yourself! … just message me for a similar cream with a different form of magnesium… I get the feeling it is a bit slow and steady with eczema… and more comfortable! Why use magnesium on your skin? I’ve been loving giving massages recently, using my magnesium cream that I’ve been making for a couple of years now trading as Permamamma. My experience so far is that people get off my massage table free from pain and experiencing far more freedom in their bodies. Aside from my magic hands (ahem! )… the magnesium is a natural anti inflammatory and reduces the perception of any pain – real relief and easier than eating more leafy greens and seeds (another way to get the same result). People sort of might be aware of magnesium as a supplement and what doesn’t necessarily occur to us is that our skin can be the way to supplement. These days I don’t take very many supplements, just when the body seems to require it. Except for magnesium… via the skin in a food grade cream base! The original recipe uses a salt form of magnesium chloride which is dissolved in filtered water to make ‘magnesium oil’ (no oil is involved in that) and then used to make a cream. The reason to make it into a cream is that the magnesium “oil” stings most people. For the tough ones its a great choice and can even reduce body odor. The original recipe has magnesium chloride so is no good for eczema or broken skin… please feel free to request a special order of eczema friendly cream! I’ve got two forms of mag for that and am totally curious to see how much difference it can make. A mum friend has little kids who sometimes do not sleep. We’re talking up in the middle of the night for hours. For us, it definitely improved with me as the breastfeeding mum using minerals and essential oils. If you’re done breastfeeding it is still worth seeing what works for you as your kids have your body as their foundation for life. A mum who is depleted will have kids who are depleted, the baby tends to follow the mum emotionally too of course. In many senses, caring for the mother will tend to sort the kids out too… especially where the kids are doing what the mum is doing… like… sharing an epsom salt, bicarb and borax bath! Don’t get me wrong… ‘sharing’ could be as simple as putting your own feet in their bath while you’re helping them. Or popping them in your bath after you’re done. Do not prioritise the kids over yourself! Take your downtime lovely mums. Magnesium baths and creams are a good start. My cream is available from me (Permamamma on Facebook or Woodvale Weigh and Pay). The original is safe for babies and perfect for a pre-bedtime massage, with these things always start slow and build up if you have a sensitive child or adult. The original isn’t suitable for broken skin but please contact me via Facebook if you’d like one that you can use on eczema for example. babies need it very dilute. and I’d add Balance blend for some adults, those who are working too hard and feel frantic some days. You know who you are! Adrenal cocktails are an excellent addition. You know if you have adrenal fatigue if you get super tired suddenly at 10am and 3pm (Severe adrenal fatigue impacts sleep) … the times when you are meant to get a shot of natural adrenaline but your body has run out of ingredients! These are potassium, salt etc, and Vitamin C.
I could go into food choices but honestly, just get on the minerals and follow your body’s lead. Slowly does it lovely friends. Reducing your stress response in any way you can think of is a great idea. Don’t take anyone’s advice before your own instincts. On a night when my eldest has any issue falling asleep, say after a very exciting lovely day, I run his ‘bars’… thirty two points on the head that help to relieve stress and tension and he’s out like a light in 5-8 minutes. He knows it and I know it. And I don’t need to do it every night or even every week. Boom! Miracles. So grateful! Reuben is four years old and he freaking loved it! We just got home from our time with Steve on an organic farm with his obstacle course! I’d been looking for something sort of outdoors and for strength, fitness and motor skill development. The other month he absolutely loved climbing the Treetops Climb in Dwellinup … but I didn’t fancy doing a two hour drive every week ;P And of course, there was no work involved that got his lungs and heart working! Enter Wild Movement… jumping from log to log, team work and chases 🙂 Best sport ever. Seems like we’ll be back for more every Saturday lol. I’ll let you know how we go! Sasha didn’t join in as much as I would have liked, sometimes wandering off but for anyone who has a 2.5 year old to see them swinging on a rope and having a great time balancing and climbing… its a win for all ages. Transferable skills to parkour, also known as ‘free running’… which is often set in a city leaping from roof to roof and across bollards… but honestly, who doesn’t need a bit less screen time and a bit more nature in their lives. Happily, you can get something that can resemble a sweet sparkling apple cider. With a multitude of other health outcomes. Apparently it can do amazing stuff like give retired folk their fertility back in their sixties (don’t say I didn’t warn you!). 1. Get a huge glass jar, two are even better! 2. Make a sweet black tea with say 1 cup of sugar per litre. Make this hot in the jar… making it sterile! 4. Pour in the living kombucha that you have saved from last time, keeping it well away from the boiling tea! This could be a scoby with some liquid or simply some nice living liquid from a previous batch. NB. This can help you to scale up your production if you’re keen to do many jars at once. Just make sure you use enough say 1 cup of strong brew. …to catch volumes of proper bubbles, like a good cider or beer, let brew for say 5-7 days in the big jar with the cloth, then decant into bottles and put their lids on. Leave on the bench for say 2 days until bubbles form, these are from the yeast that are part of the living kombucha. Refrigerate! Be careful as they could explode when left on the bench for too long. If you’re sick, leave it in the jar for 11 to 18 days until it doesn’t taste so sweet any more in order to avoid the sugar. When we ‘fertilise’ the ocean with iron filings, we get a huge bloom that was touted as a potential carbon sink. If you do the same to your gut, you get pathogens like candida. To clean up your system, you can drink kombucha or apple cider vinegar 🙂 Also, a touch of stabilised rice bran on an empty stomach. Or, go the leeches for an ironic blast from the past! 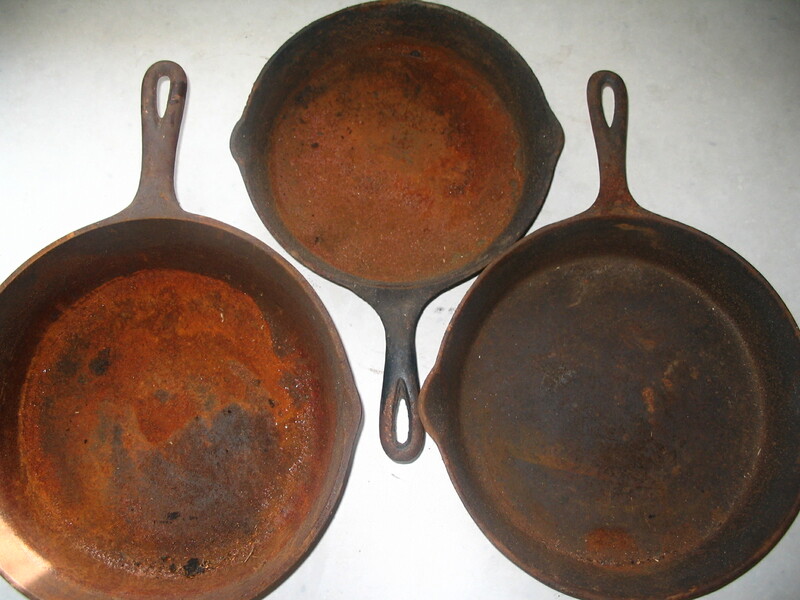 Cooking on well seasoned cast iron pans means you’re cooking on a layer of nice old oil/ fat 🙂 Not iron. But mostly, we should be alert for iron filings in baby food, cereals and supplements. Morley Robbins has a few very interesting videos on iron and magnesium. Get into it! So grateful for my artist friend Barb helping me out today with her wicked Photoshop skills for the new logo for my magnesium creams 🙂 We’ve got an awesome start and I couldn’t be happier with the level of input that I was able to have and her gentle approach. If you want to say thanks to her from me, please feel free to ask her about buying some of her art – stained glass feathers are in stock at Yanchep and a couple of other locations, she’s also lining up Carnaby prints on tote bags and phone covers for us permaculture nerds. We had a huge play day with friends – water play, trampoline, chasey and music… our 22-month girl Sasha managed to skip her nap, which is great because otherwise she keeps us company most of the evening and it stops us from experiencing any silence, ever. And that makes for terrible parenting! The gluttonous husband was kind enough to fry me some salmon and I could have had the same sides as the kids but I went for my lacto fermented cauliflower, at least partly because I couldn’t be bothered to go outside for lemon for the sour component of this meal! My precious lacto fermented cauliflower originally came from Michelle the biodynamic farmer and is just the most beautiful thing ever… pink like a flower and beautiful shapes. With sour, zingy flavours like champagne. For those who like sour tastes, it is just the best! But honestly, bung some salt and perhaps sugar in a very clean jar and add nice clean water (this might have been boiled but it must be cool). Florets of pink cauliflower and some leaves or stems to make it stay down. Spices if you like. Make sure the veggies stay under the water. Wait a day or several to allow the resident bacteria to colonise. Tasting until you like it, then refrigerate. Boom! I suppose the best might be cucumbers, but saurkraut, cauliflower and cucumbers are all pretty awesome and should just about get you through the year. Maybe olives too … technically a fermented food! Yum tapenade! Grapes? Oh, yes, all the good things in life. Camembert. OK, stop… this is making me want a cheese platter with wine. All the best things in life truly. This type of living is what Frugal Hedonism is all about. Sheer enjoyment of the simple things. Like pink cauliflower zing. I won’t tell you how to obtain Michelle’s veggies or mention that she does killer chorizo because actually, they could sell out and that would not make me a happy pickler 😉 (…OK, they go to City Farm, Stirling, Mt Claremont markets and a few other places). I spent my $25 on this small paperback and off I went on my merry way. Truth be told, I hung around chatting and stashed a few pastries in my bad for the other (gluttonous) half. Then I rushed home feeling guilty! The irony struck me as my new acquisition sat looking at me for several days, despite my excitement! Not to worry, I have begun to read it and I feel like I’ve found some members of my tribe… they’re the wise ones and I’m the one still fumbling around trying to figure out how to relax and enjoy the sunshine. Frugal hedonism has its roots deep in pleasure. Materialistic enjoyment. Ssensual pleasures… gluts of fruit, a good conversation, stroking your pet’s ears, letting yourself lay on the grass or touch some dried beans at the local shops… all gloriously free. This applies to really truly enjoying purchases. Using a great product and really getting your value from it. It does strike me that many of us… feel too busy to really actually enjoy anything. In my case, that is totally absurd. With two little kids I actually have all the time in the world… kinda! Smelling the roses, cuddling bunnies with Sally. Eating soursop flowers. Playing. We went to the beach for the first time this season and I just loved it 🙂 Until I had to drag the kids home! Thankfully Rodney had agreed to do dinner and it all went pretty smoothly. 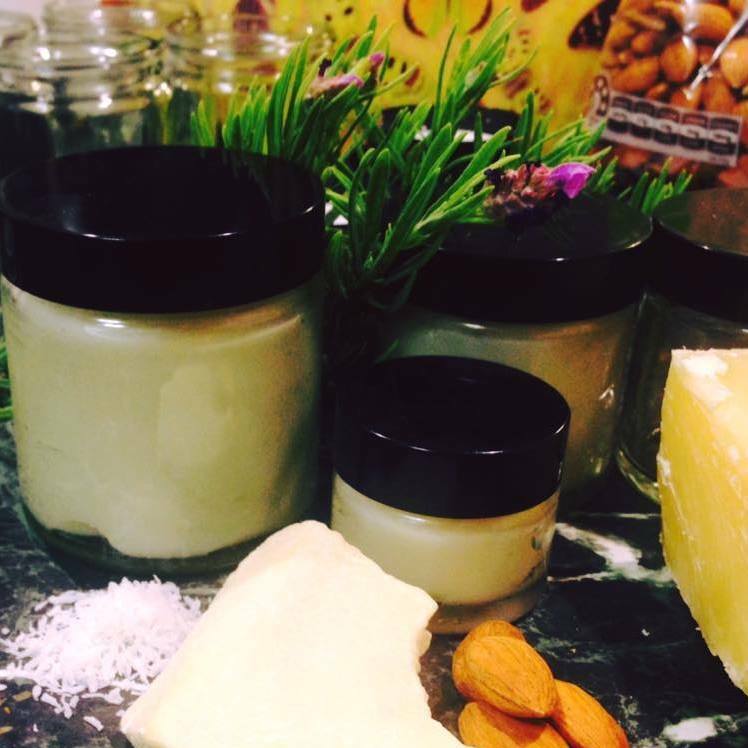 I’ve done a batch of healing moisturising magnesium cream with shea butter, cacao butter, apricot kernel oil, magnesium chloride, with just a touch of the essential oils Frankincense, Myrrh and Geranium. A big jar is $30. I must say, I really enjoy hearing back if people are loving using it… thanks so much for the encouragement 🙂 Let me know if you’d like some. I’m thinking about doing a market stall fairly soon, it’s all very exciting. Let me know by message if you have a few tips on which markets to go to. For some talks by David Holmgren, check out Youtube. Retrofitting the suburbs is one of his ideas… he sees a lot of potential in our sprawl 🙂 And of course, that means we should get started right where we are NOW. A dear friend had a problem – her baby wouldn’t sleep. As a mother of a couple of kids, the first of which was bad but not nearly as bad as this friends’ baby… I felt for her. When I say that I felt for her, I felt it in my bones. Exquisite in all the remembered gory details of the sheer desperation for some shut-eye. My first batch was quite firm, which isn’t bad to help it last, this batch is much softer… also not too bad lol! I’m offering this batch for sale… suggesting $10 for the little jars and $35 and $30 for the two larger ones. It took me all the spare time I had this evening to make and pop it up for sale 🙂 Totally worth it in my opinion… for just one more mum to get just a touch more sleep! Let me know if you want some (I’m getting some jars and deodorant containers in) and please express your interest in either Lavender; or Frankincense and Myrrh. The second option is recommended by my divining friend for a foot rub at the end of the night… it is absolutely good for adults wanting to prevent cancer and assist the body to detox. (check them out on Google Scholar, you’ll be surprised how amazing our botanicals on Earth are, almost as though they were designed for the job lol).